See the common house of an existing cohousing community! 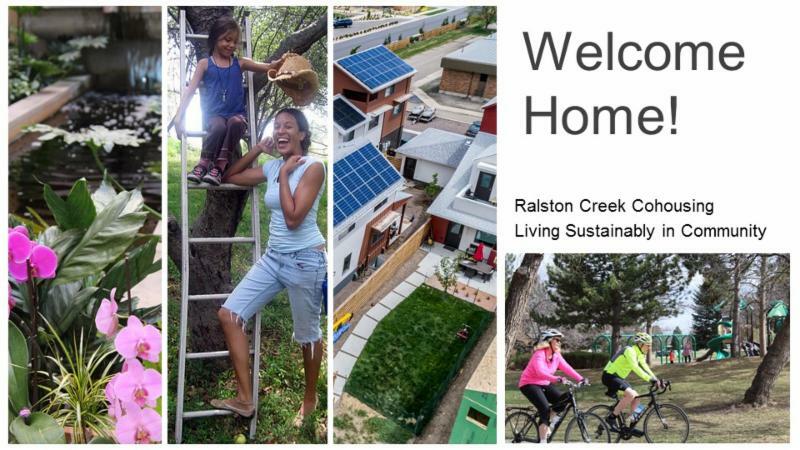 Ralston Creek Cohousing and answer any questions you may have. A tour of the Gatehouse site along Ralston Creek Trail in the Geos Neighborhood will be arranged for those who are interested. Due to the desire for community, "shared living" has been in the news a lot lately. This video , from Colorado Experience and Rocky Mountain PBS, tells about the history of boarding houses in the 19th and early 20th century. Could cohousing be the "new" way to live in community? We certainly think so!